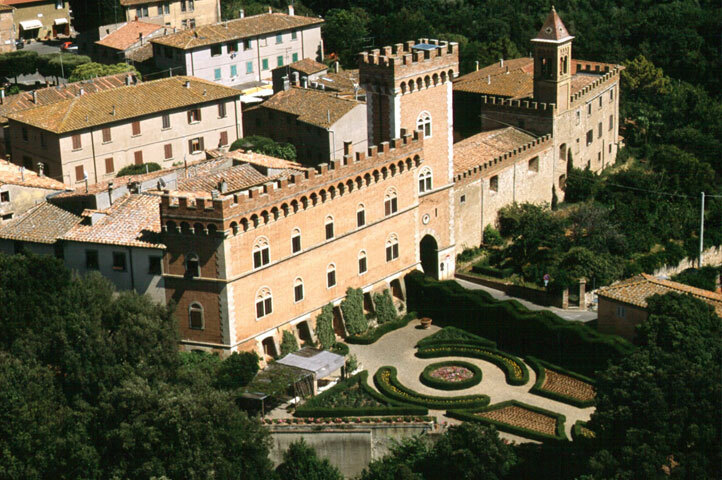 This exclusive private tour provide our clients with a chance to explore a part of Tuscany off-the-beaten-track. A special day tour await the wine connoisseur in the rolling hills of Bolgheri where some of the most high end Italian wines are produced. Travelling with our expert driver/guide you’ll enjoy an insider’s view to a region seldom visited by tourists. A region that boasts enchanting hill towns, Etruscan remains, beautiful beaches and the world famous Super Tuscan wines of Sassicaia, Ornellaia & Masseto estates. Some thirty years ago a wine producer from Piedmont saw the potential for wine production in the area along the “coastal Etruscan road”, south of Livorno, in the rolling hills around the enchanting medieval town of Bolgheri. In a short time, this back-water off-the-beaten track, boasting some of the finest coastline in Italy, became one of the driving forces behind the rejuvenation of Tuscan wines. In this heavenly setting, some of the best and high end Super Tuscan Wines are produced, such as the Sassicaia, considered as the greatest cabernet based wine of Italy and Masseto wines. Some of the wineries in this area are very exclusive and open to the public only by appointment. For this reason on this specific tour we usually don’t included the cost of the wine tastings, but we’ll arrange your appointments with prestigious wineries, such as Ornellaia, Guado di Tasso, San Guido (consider the price range is between 50 and 65 euro per person at the Ornellaia and San Guido, to be paid locally). This coastal wine region grows mostly French grape varietals (Cabernet Sauvignon and Franc, Merlot, Syrah, Petit Verdot) and the huge success and world recognition of these wines have forced the Italian State to recognize them with the denominations of Bolgheri DOC and Sassicaia DOC – quite a victory for the people who started out wine making in an area that seemingly no one else would have believed in. During the visit of medieval Bolgheri, surrounded by cypress trees, you’ll have the opportunity to taste most of the prestigious wines of the area at the local Enoteca (wine bar) where these prestigious wines are sold by the glass. This is a very good opportunity as most of these wines are very expensive…! The beauty of the area, the enchanting small hill towns, the likes of Bolgheri and Castagneto Carducci, the interesting Etruscan remains on the cost, along with the peaceful atmosphere of these places, make of this outing a very interesting tour for the traveller looking to explore this less touristy, yet enchanting, part of Tuscany.